Note – You can get longer record times by lowering the resolution in the cameras, but the video will not be as sharp. Note – We suggest to carry a spare memory card in you car or truck for back up. Note – This is a class 10 memory card that has superior performance to slower class cards. Superior quality memory card with lifetime warranty, and tested in the field over a long period with our cameras. The memory cards OnSiteCameras sell are all of the highest quality available genuine cards, and the minimum standard we recommend for use in our cameras. Whether it’s pictures, video, MP3s or ringtones, the 32GB capacity of the Kingston® Class 10 microSDHC lets you go a long, long time before needing to upload your files to a PC or other device. Best of all, you can count on legendary Kingston reliability to ensure that your files are stored safely. Enhance your mobile life with Kingston’s micro SD removable memory card. This versatile card expands the memory capacity of feature-rich mobile phones. Store more of your own collections of music, movies, video clips, pictures, ring tones and more. Kingston’s micro SDHC Class 10 card offers higher storage capacity and performance that meets the Class 10 Standard. Kingston’s micro SDHC card uses the new speed ”class” rating that guarantee a minimum data transfer rate for optimum performance with devices that use micro SDHC. Micro SDHC cards offer higher storage capacities for more music, more videos, more pictures, more games — more of everything you need in today’s mobile world. The micro SDHC card allows you to maximize today’s revolutionary mobile devices. Kingston’s micro SDHC cards use the new speed “class” rating that guarantee a minimum data transfer rate for optimum performance with devices that use micro SDHC. Identical in physical size to today’s standard micro SD card, the micro SDHC cards are designed to comply with SD Specification Version 2.00 and are only recognized by micro SDHC host devices. They can be used as full-size SDHC cards when used with the included adapter**. To ensure compatibility, look for the micro SDHC or SDHC logo on host devices (e.g. phones, PDAs, and cameras). 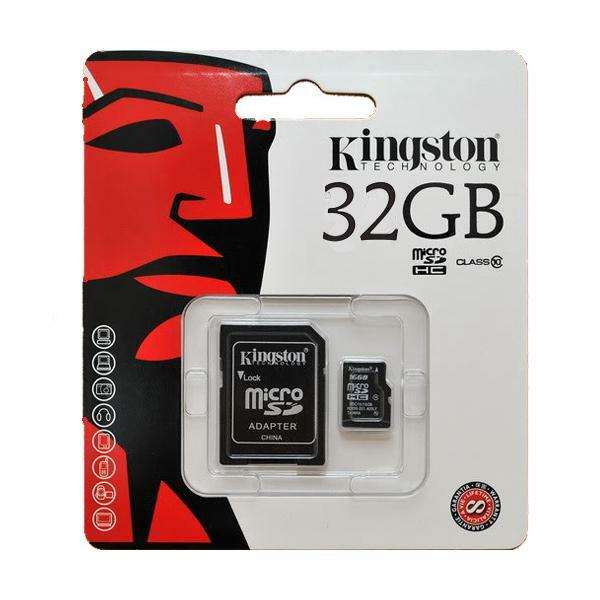 Wherever you find yourself in the mobile world, you can trust and rely on Kingston’s micro SDHC cards. All cards are 100-percent tested and are backed by a lifetime warranty and free live technical support.